Provide comfort for the family of Tamera Bennett with a meaningful gesture of sympathy. 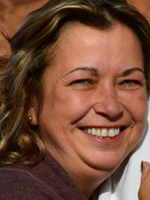 Tamera J. Stevens Bennett, 49, of Cedar Bluff, Va., passed away on Friday, January 4, 2019, at Bristol Regional Medical Center, after a courageous battle with cancer. Born on August 31, 1969, in Richlands, Va., Tamera was the daughter of Jerry and Mary L. Bostic Stevens. She was a 1987 graduate of Council High School and was retired from Veyance Technologies, where she was employed as Office Manager. Tamera attended Mountain View Freewill Baptist Church. She was a strong, family-oriented lady, who was kind to everyone she met. She was very adventurous and loved to travel. She was preceded in death by her brother, Jerome Stevens; her maternal grandmother, Martha Lambert Bostic; and paternal grandparents, Robert and Rachel Johnson Stevens. In addition to her parents, she is survived by her husband Daniel Bennett of Cedar Bluff; two sons, Quentin Blake Harris of Tazewell, Va., and Trevor Chase Harris of Council, Va.; one nephew, Jordan Tyler Stevens of Council; and her paternal grandfather, Claude E. Bostic of Honaker, Va.
She is also survived by stepchildren. Gregory Bennett, Ashley Bennett, and Kayla Bennett and companion Robert Fields of Falls Mills, Va.; step-grandchildren, Joshua, Alexis, Shyla, Ryder, Cianna, Gabe, Robert, Alyssa, Lilly, Ray, Dani, and Kinley; and a special fur-baby, Gator. A memorial service will be held on Saturday, January 26, 2019, at 2 p.m. at Trinity Freewill Baptist Church in Bee, Va., with Pastor Roy Lee Wilson officiating. To send flowers in memory of Tamera J. Bennett (Stevens), please visit our Heartfelt Sympathies Store. We encourage you to share your most beloved memories of Tamera here, so that the family and other loved ones can always see it. You can upload cherished photographs, or share your favorite stories, and can even comment on those shared by others. Provide comfort for the family of Tamera J. Bennett (Stevens) by sending flowers. I am sorry for your loss. Continue to reflect on your cherished memories together. Always remember that God cares for you and is “close to the broken-hearted.” May you call on Him in prayer for comfort and strength during this difficult time. Psalm 34: 18.